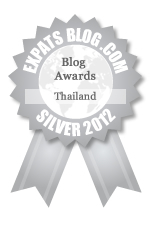 ExpatsBlog.com Expat Blog Awards 2012: Thailand Silver Award! I also get some printables for my kids sometimes, thanks for sharing yours! You have a very interesting blog. Mom's life as what I imagine is full of joy and priceless moments. And I can see that you are having the time of your life. All the best. I have read much of your posts and I find them very entertaining and interesting. I've always admired your dedication to your family and being a passionate blogger all at the same time is no mean feat. You're doing a wonderful job,1 Che. Keep it up! I like this blog! It's a must-visit site :) 5-stars rating for it!